Just Desserts will be held on September 11, 2019 at Creekside Place. Every other year, the Evansville Community Partnership hosts the "Just Desserts" Volunteer Recognition Event. This event is a wonderful time to acknowledge individuals, organizations or business who give of their time and energy to help make Evansville a great place to live. The event is always scheduled on September 11th to honor all those who gave of themselves, their lives in 2001. September 11th is also National Volunteerism Day. The event will be held on Monday, September 11th from 7-8:30pm at Creekside Place. In 2015 seventeen “Just Dessert Awards” were given to a combination of individuals, groups, projects and businesses. Here are the recipients with a short description of their contributions. Joe Kluever for more than thirty years has been a youth bowling coach and mentor, eleven in Evansville. He develops skills in bowling and supports youth in achieving their goals. Kris Connoly works with youth in Evansville. This July Kris helped eight Boy Scouts to earn twenty-one merit badges at camp. Chris Streber & Bob Kuha established an official Bowling Club in Evansville. Working with the school and the local bowling center, they gained the approvals and made the club a reality. Mary Bartlett works with the seniors at The Evansville Manor and assists the Activities Director there with card-making, card-playing, and many other activities. Halina Zakowicz is an officer with the Inventors & Entrepreneurs Club and has been a large contributor to its success. She has served as Treasurer, Information Officer, and Hostess for the group among her other duties. Isaiah Janisch has organized and led five significant conservation projects in Evansville. Under his leadership these projects resulted in more than 1,300 hours of volunteer service by forty-one people. Aliye Gallagher used her Senior Project as the core of a Public Service Announcement in support of Building a Safer Evansville. She serves on the board of BASE and is the Past President of Students Against Destructive Decisions. Marissa Haegele started a volunteer coordination group at the High School and helped form the SADD Chapter in the High School. Marissa has volunteered at many of the activities of Building a Safer Evansville and the Evansville Community Partnership. Ray Simmonsen volunteers with the 4th of July celebration and has been a multiple winner in the ECP Chili Cook-Off. He gives of his time and resources to support scouting in the city, too. Mary Wiedenhoeft has been driving for Creekside Place and the Primetimers as long as anyone can recall. She leads the weekly grocery shopping trip and has been a tireless volunteer for seniors in Evansville. Justin Schott is nominated for his work on the board of Creekside Place where he serves as Vice President. He also has a role in organizing and leading Evansville’s Biggest Loser Challenges. One estimate is that Justin is responsible for more than a ton of weight reduction in the city. Dan Winter volunteers with Evansville Community Theater, the Soccer Club-including the Fun Run- and with the Blue Sharks Swim Team. He was nominated this year for his quick actions to save the life of a neighbor with a life-threatening medical emergency. Jolene & David Klitzman are being honored for their dedication to and support of girls’ softball in Evansville. Cheryl Fuchs has applied her talents to making the city look better through her work on the EMS center, The Baker Building & Antes Cabin at the park, and her work on monuments in the city. Building A Safer Evansville works to reduce youth substance abuse in Evansville. 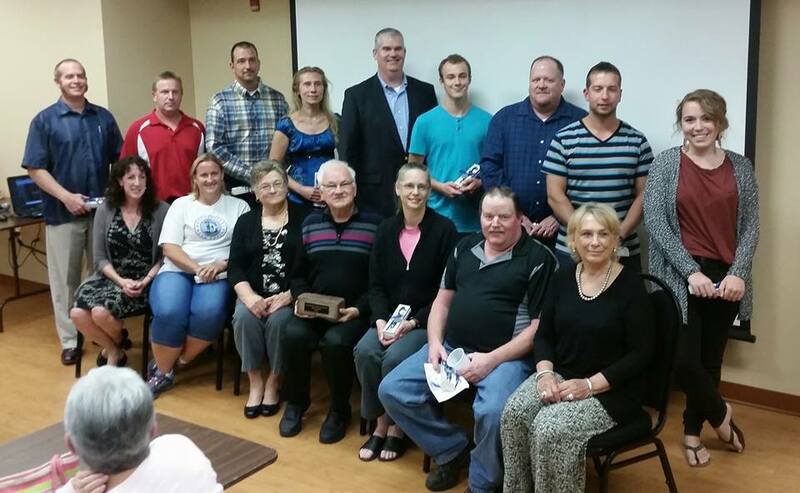 Through their efforts, Evansville volunteers have contributed more than 7000 hours since August 2014. Roberta Shaw For a lifetime of service to the children of Evansville, Roberta will receive the Cornerstone of the Community Award for her work with Koats for Kids, Toys for Evansville, and AWARE as well as her other volunteer giving. The Evansville Community Partnership is a volunteer group whose mission is to give all members of the community an opportunity to participate in the cooperative creation of an economically and socially sound, vibrant future for our community and its people. They hold regular meetings to which everyone is invited on the last Wednesday of each month. Visit ecp-wi.org for more information about the group.